In the middle of the week Wall Street marked its best day for the year on speculations that the world’s policy makers will move to bolster the global economy. Dow Jones Industrial Average has gained the most since late December 2011 adding 286 points or 2.37% to 12414.79. The S&P 500 advanced with 2.30% to 1315.13, while the high-tech NASDAQ Composite closed the session 2.40% higher at 2844.72. Meanwhile the Federal Reserve said that the U.S. economy has continued to grow at a moderate pace over the past two months, with only one district reporting slower growth. In general terms, the report was more upbeat than expected. Economists thought the report would include more signs of a loss of momentum because recent economic reports have shown a cooling of activity. In Europe equities rallied after the European Central Bank held its interest benchmark at a record low and in the following press conference president Mario Draghi said officials stand ready to act as the euro region’s outlook worsens. 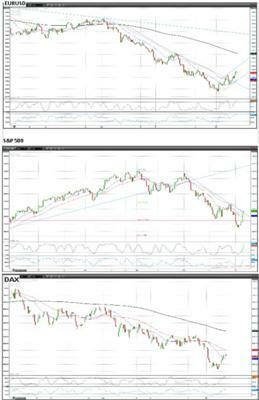 The German DAX Index gained 2.09% to 6093.99, while the French CAC 40 closed the session 2.42% to 3058.44. Meanwhile the U.K. FTSE 100 advanced with123.92 points or 2.36% to 5384.11. This morning the Asian market extended gains made in the previous session, following the positive sentiment from Europe and U.S. Australia’s economic data continued to support the markets as yesterday government report showed employers added 38900 workers last month, while economists had forecast no change. As a result the S&P/ASX 200 gained 1.26% to 4106.20, while the Japanese Nikkei 225 jumped 1.29% to 8643.40. Today Bank of England will announce its interest rate decision and the asset purchase program target. Both are expected to be unchanged at 0.50% and £325billion, respectively. Later Federal Reserve chairman Ben Bernanke will testifies to U.S. congress. Binary eur/usd extended its positive correction above 1.2500 moving the target to next resistance level at 1.2620. Break above the latter will potentially extend the recovery towards 1.2810, which coincides with the 200-period SMA. On the opposite direction binary traders should expect short-term support at 1.25, followed by 1.24. The stochastic oscillator is already in overbought levels, which suggest signals for coming downside movement. The support zone of 1290-1300 which was breached on Friday, didn’t manage to become a resistance. Yesterday the index rose to 1315 and now resistance is expected at 1335, which is 25% Fibonacci retracement of the 1074-1422 movement. If the index manages to reach levels above 1360 in the coming days to few weeks the negative correction should be considered as completed. On the opposite direction short-term support is expected on the recent low at 1266, followed by the fibo levels at 1248 and 1207. The German index rebounds from the lows below 6000 expecting first resistance at 6220. Further gain should be limited by 6445. The Stochastic oscillator is in overbought levels, so new decline towards the psychological border have to be considered as an option. EZBinary is an online platform for trading binary options. Visit them by clicking here. The information in this analysis is collected from different sources and should serve for informative purposes only. The author shall not be held responsible for the validity of the presented information. No part of this analysis recommends the purchase or sale of a currency pair or any other financial instrument.